Parks Associates is supporting Mobile Internet 2009 from March 23-25, 2009 in NH Danube City, Vienna, Austria. With the proliferation of flat-rate data tariffs and an explosion of mobile internet centric devices - users can now take advantage of high end devices and clear pricing alongside mobile broadband network speeds and coverage to browse the mobile internet in search of new and innovative content. Attendees will learn the latest strategies and business models for driving flat-rate data plans which provide a large boost in APRU; how to optimise usability and therefore drive revenues from mobile search, advertising and content; and how Android will impact the mobile internet market and learn how to exploit it to boost revenues. Key focus sessions will include mobile platforms, open source, fragmentation and standardization. Parks Associates' CEO, Tricia Parks will present at the ITEK Tele 2009 Conference in Copenhagen, Denmark on March 10th. This presentation will include research results from major European countries on consumer opinions, attitudes, and desires for services as well as service provider technical support during the session, "What is the future of customer loyalty? Tools for Retention and increase ROI." Adoption of online video has increased in Europe, but international research firm Parks Associates reports that the vast majority of usage is not generating any direct revenues. The firm, which recently released the white paper The Impact of Online Video in Europe, reports that 31% of broadband households in Western Europe have downloaded a movie or TV show for free in the last six months while only 8% of households have paid for an Internet download. The Impact of Online Video in Europe addresses these changes in viewing habits, a key area of focus at the upcoming CONNECTIONS™ Europe Summit, hosted by Parks Associates on March 31 in Nice, France. Over 80% of broadband households prefer traditional options for viewing video, including going to the cinema or watching a DVD. Since so many users are watching online video only because it is free, they will likely step away from the computer if they have to start paying for it. CONNECTIONS™ Europe Summit focuses on new strategies for service and technology providers, media companies, and manufacturers in creating new entertainment and communications solutions. Event sponsors include Affinegy, Enure Networks, and HomeGrid Forum. Global Sponsors include ActiveVideo Networks, Affinegy, Cloakware, DSC, HD-PLC Alliance, Icron, Macrovision, the Multimedia over Coax Alliance (MoCA), ProVision Communications, Radialpoint, Telcordia, and Zilog. Parks Associates is supporting the Leadership Music Digital Summit on March 23-25, 2009 at the Belmont University's Curb Event Center in Nashville, Tennessee. An expanded edition of the Leadership Music Digital Summit (LMDS), one of the leading conferences focusing on technology and the many opportunities and challenges it presents the music industry, has been set for March 23-25, 2009, at Nashville’s Belmont University. The fifth annual LMDS has added a pre-conference event and a half-day of programming to its schedule, providing more exploration of the latest issues and innovations as well as networking time with an influential group of more than 600 music industry leaders. The Summit audience includes decision-makers who collectively reach a consumer base of millions around the world. For more information about the Leadership Music Digital Summit, click here. Online gaming companies should embrace social networking and community features as key strategies in continuing the rapid growth of the gaming market, according to international research firm Parks Associates. In its new report Networked Gaming: Driving the Future II, the firm forecasts the market for premium casual games will exceed $1 billion in revenues by 2013. Parks Associates notes that social and community features can help companies in casual gaming expand beyond their traditional target demographic of women ages 35-54. Offering features such as a persistent identity and integration with social network sites allows companies to maintain their core audience while broadening their appeal. Game companies should use social networks and gamer communities as marketing and distribution channels for their new and existing games. Gaming has proven remarkably recession-proof, so as companies try to capture subscriber dollars, these offerings will serve as differentiators in a very competitive market. These features can also build gamer interest and loyalty among the growing number of free-to-play MMORPGs, which will include over 20 million gamers by 2013. The report recommends large game publishers should build cross-platform, gamer-centric networks. Online publishers should also leverage open-platform efforts like Facebook Connect and MySpaceID, allowing users to enter online gaming websites with their social network ID and share their online activities with their network of friends. Networked Gaming: Driving the Future II analyzes a variety of networked gaming technologies and business models. The report includes company profiles, consumer data, and market forecasts. Parks Associates is supporting Engage! Expo. Engage! Expo takes place March 10-11, 2009, at the Javits Convention Center in New York (the same location as Virtual Worlds 2008). Engage! Expo is the event for media, entertainment, youth brands and toy companies to learn how to combine their existing online efforts with the unparalleled engagement opportunities and new revenue streams of the 3D Web and Virtual Worlds. Virtual Goods and Gifts are generating an estimated $200 million in the US and $2 billion in revenues worldwide. Engage! Expo is the only place to learn more about these trends and network with the industry leaders that are making it happen. Smart Roads. Smart Bridges. Smart Grids. If we are going to spend billions of dollars to fix our ailing infrastructure, let's make sure we do it right. Here are the technologies to make that happen. It's time the U.S. got a lot smarter. Get Smart… I couldn’t help but think of the Mel Brooks and Buck Henry show starring Don Adams & Barbara Feldon back in the late 60’s. Hopefully the U.S. will get a lot smarter than the technology-enabled characters in this sitcom. Michael Totty’s February 17, 2008 article in the Wall Street Journal certainly makes a case for the likelihood that the U.S. will get much smarter due to technology advances, economic necessity, consumer desires, and government incentives. The part about “Smart Grids” caught our attention at Parks Associates. We are preparing to launch a major multi-client project to assess the market for digital systems and services used to monitor, control and manage electric energy in the home. The first step to building a more intelligent electricity distribution network (a.k.a. Smart Grid) is the deployment of smart meters which are digital meters capable of processing and reporting usage data to providers and households via two-way communication between meters and utility offices. Smart meters with the proper user interfaces can enable consumers to make informed decisions in response to real-time household power consumption data. Data …enter Google. Google wants to build the platform for collecting, managing, and analyzing home energy information. It is one of the more visible companies developing ways to control the demand for electric power as an alternative to building more power generation plants. It recently announced that it has developed a free Web service called PowerMeter that enables consumers to track and, with the proper devices, control energy use. As I understand it, PowerMeter is still in Beta testing and the company is counting on others to build devices to feed data into their PowerMeter technology. The economic stimulus plan will encourage a more rapid development of a smart grid, but many questions remain to be answered about just how fast this will happen. No timetable was given for the deployment of the 40 million meters mentioned. Our forecast is based on a tally of deployment announcements along with estimates of the portion going into residential versus commercial accounts. In addition, we did take judgment on some plans due to where they were in the regulatory approval process. Therefore, we believe we have a solid rationale for our forecast. However, we expect this forecast to change. Companies such as Google, with the ability to build market awareness, can help accelerate adoption of systems and services to manage and control energy consumption. In fact, we think that there are numerous market opportunities in residential energy management that don’t require smart meters or an advanced metering infrastructure (AMI). We will be exploring the entire spectrum of opportunities in our project entitled Residential Energy Management – Opportunities for Digital Systems and Services which is designed to help our clients Get Smart. Competitive pressure and congressional stimulus funds drive adoption-- Providers of personal health technologies such as health monitoring devices and personal health records (PHR) can generate over $460 million in revenue in 2013 by targeting the disease management (DM) industry, according to Parks Associates’ recent report Disease Management Industry and High-Tech Adoption. The international research firm cites changes in the healthcare landscape, combined with the Obama administration’s stimulus package and reform initiatives, as catalysts for accelerated technology spending over the next five years. Technology vendors that are familiar with the unique characteristics of the DM business and can show the clear and immediate benefits of their solution within this context will be in the best position to win these contracts. Disease Management Industry and High-Tech Adoption is Parks Associates’ latest research report about the future of the disease management industry. It highlights challenges and opportunities and discusses technology’s role in driving innovations in new care management models. Ericsson will launch Connected Home Gateway software at Spain's Mobile World Congress later this month. Consumers can then use their mobile phone or laptops to interact with their computers, TVs and/or media players. This allows the sharing of photos and videos without even being home. By being the main multimedia outlet, the Connected Home Gateway acts as a single service-delivery platform and allows remote management for service provisioning and maintenance. As a single point of entry for IPTV and other communication services, it creates a secure connection between the digital home network and the telecommunications network. For more information, visit http://www.ericsson.com/ or http://www.ericsson.mobi/. International research firm Parks Associates announced today the topics and preliminary list of speakers for CONNECTIONS™ Europe Summit, March 31, 2009, in Nice, France. This executive event addresses the new strategies for service and technology providers, media companies, and manufacturers in creating new entertainment and communications solutions. Summit sessions include broadband and value-added services, the evolution of video services, digital media, connected CE, digital home services and customer support, and the future of consumer technologies. The agenda includes consumer and industry research on CE ownership and purchase intentions, interest in advanced television and video services, and digital entertainment habits, including attitudes toward content copying and piracy. Dr. Anton Monk, CTO, MoCA; Co-Founder, Entropic Communications, Inc. Event sponsors include Advisory Sponsors Affinegy and Enure Networks and Supporting Sponsor HomeGrid Forum. CONNECTIONS™ Global Sponsors include ActiveVideo Networks, Affinegy, Cloakware, DSC, HD-PLC Alliance, Icron, Macrovision, MoCA™, ProVision Communications, Radialpoint, Telcordia, and Zilog. 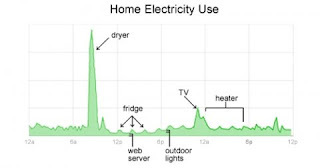 This week, Google demonstrated PowerMeter, a home energy consumption prototype Web application. Using smart meter technology allows consumers to decrease energy usage by appliance. Rather than working through utility companies, like other smart grid companies, Google is striving to make home energy data available in real time. To help gain popularity, Google is developing partnerships with hardware manufacturers, utility companies, and government entities. By building a custom application using PowerMeter or the Google gadget platform, a smart meter company could easily make their information available too. The push towards more smart grid technology continues. According to Parks Associates research, the number of U.S. households with smart meters is projected to increase to 6 million by 2012. To read more about this, visit Martin LaMonica's article on CNET, "Google crashes the smart-grid party." In a logic move, UK-based Bluetooth technology provider CSR locked in a merger agreement with battered GPS receiver chip maker SiRF. SiRF counts many portable navigation device makers—GARMIN, TomTom, Mio—as customers. But as these customers increasingly looked for additional suppliers with integrated solutions, SiRF’s order volume dropped, along with its stock price. In late 2007, SiRF tried to enter the mobile GPS chipset market with the acquisition of Centrality, but the plan seemed backfired and the company was unable to recover since then. During the same period of time, many larger silicon vendors began to catch up on the GPS front, including Broadcom, ST Micro, TI, Atheros, and CSR. At this year’s CES, I met CSR’s executives and was quite impressed with its Bluetooth technology. Of course, all the GPS demos were simulated as we were all in a hotel room. But CSR’s strategy to integrate multiple radio technologies onto the same circuit board is clearly hitting the sweet spot of the market. The SiRF acquisition is one additional step in that direction. Whether the deal can be considered a success or not will be first reflected in the combined entity’s ability to stop customer exodus, particularly on the mobile side. DTV Switch to happen sooner than expected. The Congress finally agreed to a delay in the mandatory switch over until June after much debate and heartache to the likes of Verizon, AT&T and Qualcomm. However, in yet another turn in events, more expected than unexpected, the broadcast stations have decided to switch over to pure digital transmission much sooner than the mandated date in June. 40% of the local broadcast stations i.e. 2 in out every 5 have expressed their intention to switch as soon as possible. The major factor in that decision is the ability to save on costs by not having to simultaneously broadcast in digital and analog format. Why would the local stations be so desperate to save on their operational expenditure? The answer to that question lies in the fact that most local/regional network have experienced a steep decline in their ad revenue and are forced to conserve costs. As a result, analog TV viewers will likely be left in the dark after all. On a separate note, the concept of a unified residential gateway seems to be making its way back. gizomodo.com reports that AT&T has an STB-Femtocell combination box in the making. The market for residential energy management will increase significantly over the next four years due to increased consumer demand and new government and industry initiatives. The number of U.S. households with a smart meter will grow to over six million by 2012, according to Parks Associates. The international research firm recently announced its new research project Residential Energy Management: Opportunities for Digital Systems and Services, which analyzes this market, current and future deployments, and consumer preferences. Parks Associates reports that over one-half of U.S. households take steps to conserve energy. The impact of this consumer behavior has broad implications for multiple players, from appliance manufacturers to venture capitalists. Already, a strong majority of U.S. builders recognize energy-efficient amenities as the most positive influencers in selling a home. Residential Energy Management features multiple components, including an online survey of 1,500 U.S. households regarding their use and awareness of smart meters. The project also includes profiles of innovative companies and utilities in this sector, interviews with government officials, forecasts for AMI deployments and energy-saving products and services, and a report on international activities in energy management. Parks Associates is a media partner for the Social Networking World Forum. The Social Networking World Forum will take place from March 9-10, 2009 in Olympia, London. Its the perfect event for professionals to learn and discuss the future development of social media. Featuring key speakers from social networking publishers, advertising agencies, industry analysts, software developers and equipment manufacturers, pay-TV and network service providers, mobile operators, the conference aims to address core issues such as monetization, future technologies/services, engaging social groups with brands and how businesses can get the most out of social and business networks. This two day conference dedicated to social networking will be co-located with the Mobile Social Networking conference. For more information regarding these events, click here. The world’s largest carrier Vodafone has awarded a contract to Azingo to develop mobile applications based on LiMo Foundation’s R1 reference stack. LiMo Foundation is an industry consortium formed in early 2007 with the mission to design and deliver an open Linux-based software platform for mobile handsets. Both Vodafone and Azingo are core members of the LiMo Foundation so the deal is not a surprise in any sense. But this could be the tip of an iceberg for what LiMo Foundation is planning to do in the next couple of years. Last year when I first spoke to the consortium, it had about 40 member companies including Orange, NTT DoCoMo, SK Telecom, Telefonica, and Verizon Wireless and handset makers like Panasonic, Samsung, NEC, LG, and Motorola. It released its R1 platform as well as its SDK in 1H08. I haven’t received an update regarding its scheduled release for native, Web, and Java SDKs, but the consortium is preparing for its R2 platform release and appeared to have wowed additional operators like Swisscom and Telecom Italia. More encouragingly, the carriers have expressed commitment to specifying and releasing more handsets conforming to LiMo specs in the coming year. So far, a total of 33 handsets are LiMo-ompliant. I am sure that more will be on display at the Mobile World Congress this week. LiMo’s Linux OS focuses on the middleware stack and tries to provide an open, low-cost, and consistent software development environment for mobile industry value chain players, down to chipset makers and up to various mobile application developers. It categorically separates itself from Google’s Android platform, even though the latter also uses Linux kernel and touts openness. Compared with the Google-leading Open Handset Alliance, LiMo is equally impressive for its list of members so it will be a good race between the two. Eventually, the handset sales will be the deciding factor for many of the operators and handset makers on both sides of the aisle. Oregan Networks announced the Oregan Media Browser 4.0, which they've dubbed Onyx. It's aimed at the DTV and set-top box markets and provides "simplified accessibility to multiple sources of trusted Internet and personal content on TVs through a single resident TV application that requires minimal set up and can be easily 'called up' in the form of a widget and dismissed without leaving regular broadcast channels or switching TV inputs." Interesting times in which we live. I talked to Steve Tomlin, Chumby's CEO, this afternoon. He gave me an update on the widget development that they're doing, which includes work and demonstrations with major silicon vendors such as Broadcom, Freescale, Marvell, and Samsung. I also touched base with Panasonic and got the update on the VIERA Cast applications that they are bringing to both DTVs and to Blu-ray players. The addition of Amazon.com Video On Demand content is a significant value to that particular solution. On Tuesday, I caught up with Mike Harris at AnySource Media, a company that has developed a platform to bring in Web content to a connected TV. It's very different from other approaches, in that the "normalization" of content is done in the cloud and not on the TV itself, giving TV manufacturers greater ability to create rich content libraries and not subject users to just a few offerings. There is also an ad component to what AnySource is doing, and I think this story is going to play out in a significant way as the connected CE platforms develop. For CE manufacturers to differentiate and potentially get access to growing ad revenues, they're going to need to be able to use assets like navigational pages and on-screen guides for ad real estate. I think that's also the beauty behind the Macrovision Neon CE guide. Obviously, the main goal of the guides will be to help consumers discover and organize all kinds of digital media assets, but it will be interesting to see how the ad revenues work in this realm. I'm still trying to make sense of the January retail reports and what is the good news/bad news. At breakfast, The Dallas Morning News had some pretty brutal January retail news. Overall retail sales were down 1.8%. North Texas-based J.C. Penney experienced a 16% decline in same-store sales, and that was pretty good compared to some other results. The Gap was down 23%, and - as you can imagine - other higher-end retailers like Abercrombie, Saks, Nordstrom, Neiman Marcus, and others were hit awfully hard. At the same time, Wal-Mart beat analyst expectations and was up 1.5%. Target was down 3.3%. Costco was down 2%. Then, I get to the office this morning, and two e-mail alerts from TWICE are reporting good numbers from Conn's, hhgregg, and others. Citing strong TV sales (Costco says sales were up 80%, but revenues up only 18% because of steep discounts), many retailers reported strong electronics sales even as overall sales were down. Two well-known Taiwan-based IT companies now collaborate to jump into a new market that already has too many power players. Asus Computer and GARMIN announced yesterday that they will co-develop, co-brand and co-market new smartphones under the name GARMIN-Asus. Their first smartphone is apparently the long-delayed Nuvifone that GARMIN has been trying to launch since 2Q08. Compared with GARMIN, Asus has a better track record. The company had its first PDA in 2001 and introduced its first handset in 2004. Even though its efforts on the handset market couldn’t be described as a success, it has channel relationships with more than 20 carriers, mainly in developing countries in Eastern Europe. This relationship does help the two-parties to share the cost and risk of developing and launching smartphones, as this market has become extremely competitive lately. Despite the combined expertise, GARMIN-Asus still has the formidable job to establish its credentials in the mobile market. I will be very interested in the alliance’s initial target market. Will it go after Asus’ handset channel markets first, or will it try to market the Nuvifone in NA and Western Europe? The alliance will announce the Nuvifone at the Mobile World Congress next week. Hopefully it will address my questions posted here. After Microsoft, RIM and Palm disclosed their respective plan to launch virtual stores for consumers to download mobile applications, Samsung, now the No. 2 mobile handset maker, also jumps in. The South Korean giant will unveil its App store for users of Symbian and Windows Mobile devices during the Mobile World Congress event this month. Although it will open only to UK consumers initially, there is no doubt that the company will expand it to other nations very soon if the UK store resonates well with consumers. This is a recap of what has happened in the mobile app space since Apple’s success story was widely published. · September, 2008: the press first reported Microsoft’s mobile app store: SkyMarket, then rumor has it that Microsoft will also announce it at this month’s Mobile World Congress. · Oct 21, 2008: Research in Motion announced its Blackberry application storefront will open in March 2009; developers will get 80% of the revenue from sales. · Oct 22, 2008: Google Android Market went live with 50+ applications and Google promises to give developers 70% of the sales and the 30% will go to carriers and pay for billing settlement. · Jan 9, 2009: Palm announced plan to launch its WebOS App Catalog. When adding Qualcomm’s BREW Shop, Nokia’s Download Store, and third-party mobile software reseller sites like Handango and GetJar, this space is getting quite crowded. As consumer app download market grows, the fragmented mobile OS market could become a dragging factor. Will Apple leverage its App Store’s success to lock in users just as it did with its iPod+iTunes franchise? The mobile industry should consider well beforehand such possibility. The more fragmented the market is, the more leverage Apple could gain. Who's Going to Administer the Broadband Stimulus and How Long Would it Take? Now that the U.S. Senate may be making substantial changes to the economic stimulus bill that passed the U.S. House last week, the Congressional Budget Office has offered its take on what some of the new provisions might mean. The CBO's explanation goes a long way to answering some questions I've had about who would oversee the broadband deployments that are intended under the $9 billion grant program to extend access to unserved and underserved areas. The grant funds would be given to the National Telecommunications and Information Administration (NTIA) to administer. CBO estimates that we wouldn't see an immediate stimulus from these funds, however. They note that grant recipients would still be required to raise 20% of the rollout/upgrade costs from non-federal sources. And, CBO notes that only 30% of the allotted grants would be spent between fiscal 2009 and 2011. Still, I wonder if this isn't a bad thing. I'm still wondering how the planning for this is going to take place. We keep hearing that the road and bridge infrastructure portions of the stimulus package could be implemented immediately (according to the Obama administration). We're told that there are road and bridge construction contracts just waiting for funding, and that people could hit the streets in very rapid fashion to start the work. On the broaband side, I wonder if this is the case? Are the state and local governments in a position to rapidly determine the best bang for the buck? Are there some other areas- like telehealth and distance learning - that would benefit from the broadband deployments? If so, how is the coordination between health and education officials, the government authorities, and the operators who will be laying the broadband infrastructure? I'd sure like to get a sense of the coordination (or lack thereof) that's occuring here? Unitymedia has reported its largest broadband and telephony quarterly net additions. Its new services subscriptions including internet, telephony and digital television, were up 66% year-on-year to 1.6 million at the end of 2008. The company’s biggest growth was seen in the broadband market, where the number of subscribers increased by 111,000 (thats a 103% jump!). Resulting from the digitalization of the basic cable subscriber base, and the introduction of ‘enhanced pay TV packages, Unitymedia’s digital television customers increased by 37,000 during the 4Q08 to 363,000. Also increased, the telephony subscriptions grew to 363,000 (up by 55,000). Due to price increases, the basic cable subscriptions fell 4.62 million (down by 36,000. Google unveiled Latitude today, a location application in Google Map that allows users to track where their friends and family members are. Latitude requires users to sign-up for usage, which means that only opt-in users can interact with each other on the network through location-based services (LBS). But users do have control over who can view their locations—they can even create location “alibis” if they do not want people to know where they actually are. For additional protection, the application only displays the last recorded location for those being “tracked”. These features should be adequate enough to quiet consumer privacy advocates, in my view. They give plenty of controls to consumers so they can make a conscious decision on the degree of privacy protection they want. Overall, Latitude sets a good example of balancing consumers’ needs for location-specifc information and their concerns over privacy violation. Here's a follow-up to the note about the potential impact of the stimulus package that may include incentives for getting broadband to unserved or underserved areas. There is some interesting speculation that Verizon could be the big winner in receiving tax incentives, regardless of whether they actually deploy deep fiber into the greenfield or underserved areas. Some view the proposed package as a way to light a fire under the cable MSOs and get them to expedite the deployments of DOCSIS 3.0. Verizon comments on what the proposed legislation may mean on their own blog. Who's Going to Manage This, Anyway? After reading Verizon's policy blog, I posted a question that basically asks who's going to manage the process of getting the operators to work with the state and local authorities to actually deploy these broadband services? I'm wondering if operators will be given sole discretion to determine their rollout plans, or will government or quasi-government organizations be involved in the planning? How will the government measure the progress to assure that tax breaks are actually going to the companies that put installers into the field and get the services to the customers. The Verizon folks were nice enough to respond with some thoughts. There could be a number of government entities involved in the process, from the Rural Utilities Service (RUS) at USDA and the National Telecommunications and Information Administration (NTIA) at the Department of Commerce. Verizon also mentioned Connected Nation, which facilitates public-private partnerships to increase access to and use of broadband and related technology. It's about a month late, but I wanted to make note of some consumer storage announcements and product revelations from CES that I thought were relevant. Shuttle: The Shuttle Home Server will be available in a basic 500GB version – the SH-4500 – and a 500GB version with hot-swap hard drive capability – the SH-K4800. Both editions offer limitless expansion with space for two hard drives and four USB ports for external hard drives. VIA: VIA Technologies will be releasing 2 home server products – a model with 2 drive bays (based on the Artigo A2000), and a model that can hold up to 8 hard drives (NSD-8000). The compact 8-drive VIA NSD7800 server supports Windows Home Server to provide up to 12TB of secure, manageable storage for the whole family or home office. HP: The HP MediaSmart Server ex485/ex487 can stream photos and music to any internet connected PC or Mac, and it includes the ability to backup Macs to the MediaSmart Server through Time Machine. The new MediaSmart Server has smart power management capabilities, and the user can schedule times for the Server to go to ‘Sleep’ and ‘Wake up’ saving on energy costs. Incidentally, two of us have tried to get the HP MediaSmart Server to work, and we've both failed. I think that our older computers aren't liking the Microsoft software, so we're never getting backups to work. Pity. I expect that this is going to be an interesting area to watch as television operators seek to expand DVR storage, given the rise of HD content being recorded. Seagate showed off its Showcase product, which is compatible with some DISH Network DVRs. Apricorn has a solution called the DVR Xpander, which is compatible with the Cisco (S-A) Explorer 8300. We've heard rumblings that 2009 could see more eSata or even network-attached DVR storage solutions being announced. Some folks have told us to keep an eye on Europe for some interesting developments. Senator Kennedy (D-MA) will soon introduce a bill to provide financial incentive to physicians who persuade their patients to set up and use personal health records (PHR). Under the bill’s term, physicians will receive up to $3 for each participating patient and the Senator’s legislation will help create a payment pool drawing funds from the Medicare trust fund, health plans, pharmaceutical companies and medical device firms. HHS will act as a coordinator to help qualifying physicians to register online and develop a list of qualified PHRs. Suddenly, incentives are everywhere. Medicare now pays incentive to physician practices that adopt e-Prescribing or EMR technology. Incentive payment is also built into the patient-centered medical home model in various private sector- and Medicare-sponsored experiments. To qualify for these incentive programs, physicians have to comply with multiple standards and sometimes take on extra administrative burden. These extra jobs can be a distraction to physician’s core responsibility. Furthermore, these incentive programs are not integrated even though the technologies that these incentive programs target are synergistic to one another. Shouldn’t we create a common payment pool and consistent standards so that physicians can adopt these technologies all at once and benefit fully from it? The McKinsey Quarterly released a research study showing that in 2006, the U.S. spent approximately $650 billion on healthcare more than it should when compared with countries with similar affluent levels and care standards. Most excessive spending comes from avoidable physician office visits for things like prescription refills and preventable use of acute care facilities like a hospital or ER. These services alone account for two thirds of the total excessive amount. The next item is spending on prescription drugs, as people in this nation place way too much faith in those pills. Guess what, $98 billion a year can be saved if U.S. patients start to use pharmaceuticals rationally. Another $91 billion can be saved if we can cut through layers of administrative clutters and simplify processes of healthcare services for patients and doctors. These areas are what we call the “fat” of our healthcare system. Savings of such a magnitude can be reinvested in other areas short on resources. The research actually highlights that the U.S. did not invest enough in the long-term care and home care sector. The 2006 gap was $53 billion.